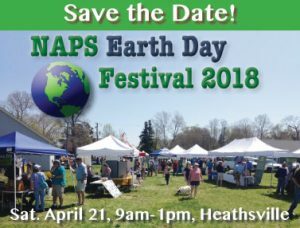 NAPS (Northumberland Association for Progressive Stewardship) will be hosting the 4th Annual Earth Day Festival in “Downtown” Heathsville during the season’s first Farmers Market – Saturday, April 21, 2018, 9 a.m. to 1 p.m., with dozens of environmental exhibits and activities set up by NAPS and other local organizations. This family-friendly event is free, and everyone is invited! The Earth Day 5K Run will start at 8 a.m., and this year’s run will benefit area schools. Runners, walkers, and dogs (on leashes) are welcome, and there will be a free Tot Trot for kids 5 and under at 9:15. Visit runnnk.org to sign up and for more information. 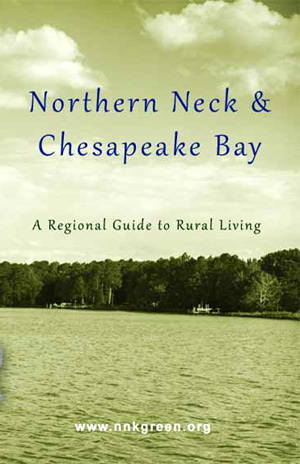 Also on the Tavern grounds the same day, enjoy the Heathsville Wine Fest from 11 a.m. to 5 p.m. and the Quilt Guild Show from 9 a.m. to 4 p.m.
Visit www.napsva.org for more information on Northumberland Association for Progressive Stewardship – join NAPS today!